We’ve broken down some of the best NBA betting tips and strategies that will help you become a smarter and more profitable bettor in the long run. These tips are free and the foundation to start building a winning betting system of your own. Whether you are just learning how to bet on basketball or a seasoned veteran, it never hurts to refresh your knowledge. Speaking of free, first and foremost, the best tip we can give you is to take advantage of the FREE MONEY offered by online sportsbooks! Which new player bonus is our favorite right now for bettting basketball? 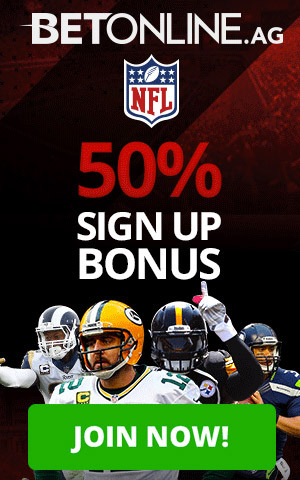 They are offering you a free $25 bet and a 100% deposit bonus when you use our exclusive partner link above. In the NBA a team going on a 10-15 game winning streak isn’t that uncommon. Nobody knows when the streak will end so you may as well keep betting on the streak. If you are betting the spread this may be tricky because a win doesn’t mean they covered the spread but you can bet the money line on the streak, just be aware that the lines may get pretty high as the streak continues. You can look to parlay the moneyline of two hot teams on a winning streak. As we said - keep betting the streak. When a team goes on a win streak of say 7 or 8 games (or more) then they lose, look at betting against them that second game after the streak. A win streak starts to put pressure on a team to continue the streak and guys start to lose their rest days because no one wants the streak to end. More often than not, when the team finally loses, there is often a second loss right after because of the relief of the streak. Either bet them to lose, or depending on the spread take the points with the other team. The NBA is horrible for injury reporting. At the last second having a player that is probable to play to suddenly be out of the lineup is more common then not. Be wary if you hear about a player that is questionable or a game-time decision. Hold off your bets until as late as possible as you may be able to get some great lines before the book has a chance to update them. Once the game starts, there are advantages to In Play Betting to be aware of. The lines will keep changing based on what the score is and what the flow of the game is. If you liked the over and the teams start off shooting a low percentage you may be able to get a lower total for the over even if the game is just 5 minutes old. Also, if a team was a heavy favorite leading up to the game and they are down 15 at the half, maybe look at betting them to outscore the other team in the second half. They may not win the game but if they only lose by 5 then they will have a +10 points advantage in the second half. Back to back, 3 games in 4 nights, 1st game of a west coast trip or coming home after a long road trip from a coast…these are all things that bettors look for when looking for picks for the night. For some this is enough to make a bet, for other more seasoned bettors, statistical analysis comes into play. Top NBA bettors will factor in everything about the schedule and how every team reacts to the factors above like back to backs and how often a team wins or loses coming off a road trip. The more accurate the analysis the better chances of predicting the outcome of games. Start tracking each team’s performance in every situation like the ones listed above and then make stronger bets. If you decide that you love a particular game and have decided to bet on the point spread, check to see if there is a better spread at another site. It is a wise move to have an account at multiple sportsbooks. I know it can be comfortable to just stick with what you know but you are essentially giving a free advantage away for no reason. If one book has the Warriors at -10 and another has them at -9, that can be the difference between a win for you or not. It can be annoying to set-up multiple accounts I know, what's even more annoying is losing Money to the house for no good reason. Are you betting on an offensive or defensive minded team? What type of style is the other team playing? Does the coach have tendencies to sit the starting unit with a big lead? Do the teams play fast leading to more possessions and shots per game. All these are factors to look at whether you are betting on the spread or the O/U totals. Looking for More Betting Strategies and Tips?